The kitchen cupboards are well stocked with pots and pans and utensils. We also provide tomato sauce, worcestershire sauce, soy sauce, olive oil, vinegar, salt & pepper. 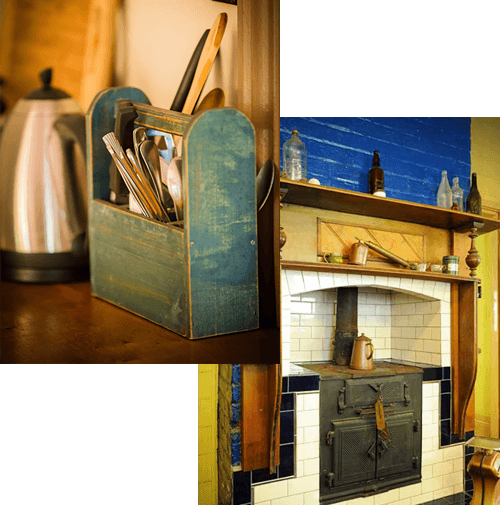 Breakfast provisions are placed in your cottage and ready for you to use at your leisure (hot and cold breakfast things). They incude a selection of cereals, museli, yougurt, bacon, eggs (from our free range hens if available), baked beans, fresh bread from the bakery, butter, strawberry jam, honey, marmalade, vegemite, milk, sugar, tea – loose and Twinings, coffee – plunger and Mocona. See our latest specials and make the most of our packages. 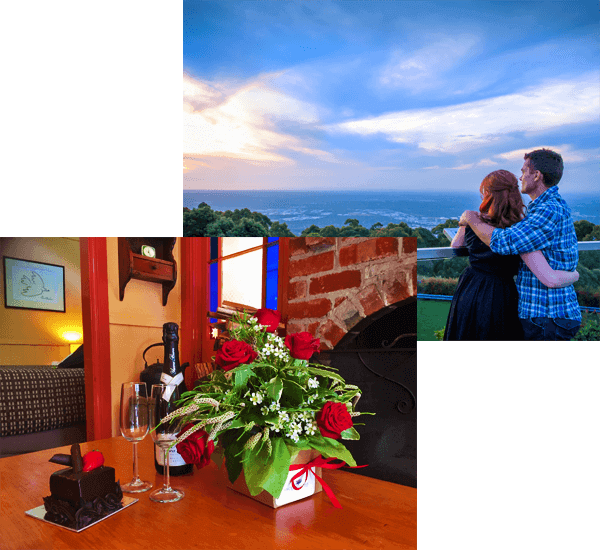 Stay & Dine at SkyHigh and other restaurants with a limousine transfer or enjoy relaxation packages and couples massages at Elle Naturale Olinda. We can also arrange arrival gifts and day spa treatments to your individual requirements.